For horses that prefer an orange flavor. 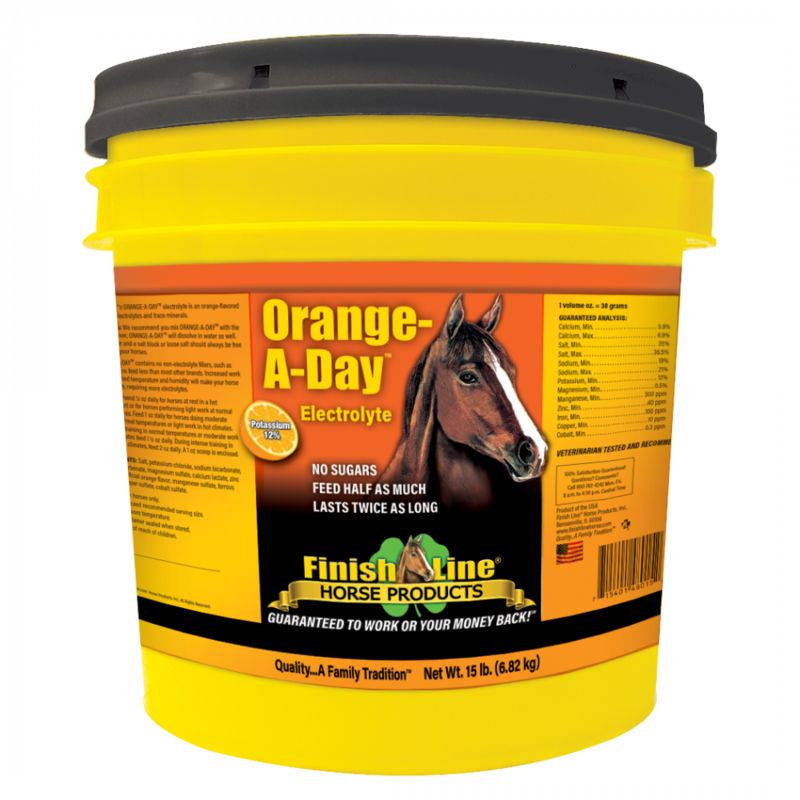 Finish Line®’s Orange-A-Day electrolytes and trace minerals help promote healthy hydration in your horse by replacing electrolytes lost during daily activity. 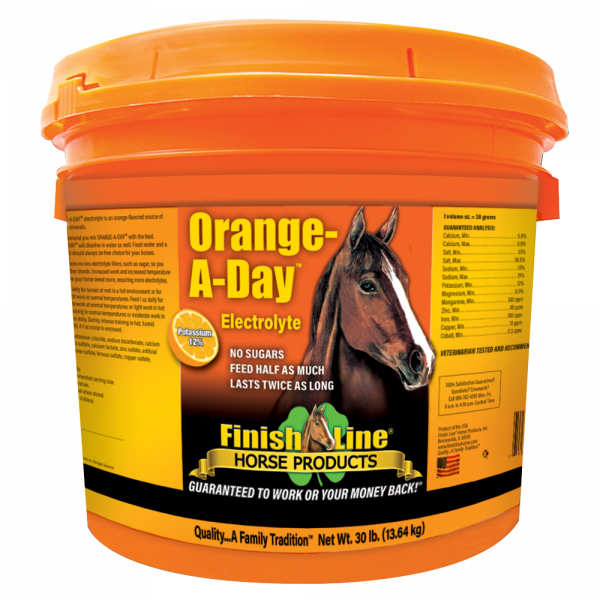 This electrolyte/mineral replacement replenishes electrolytes and aids in appetite and water consumption. 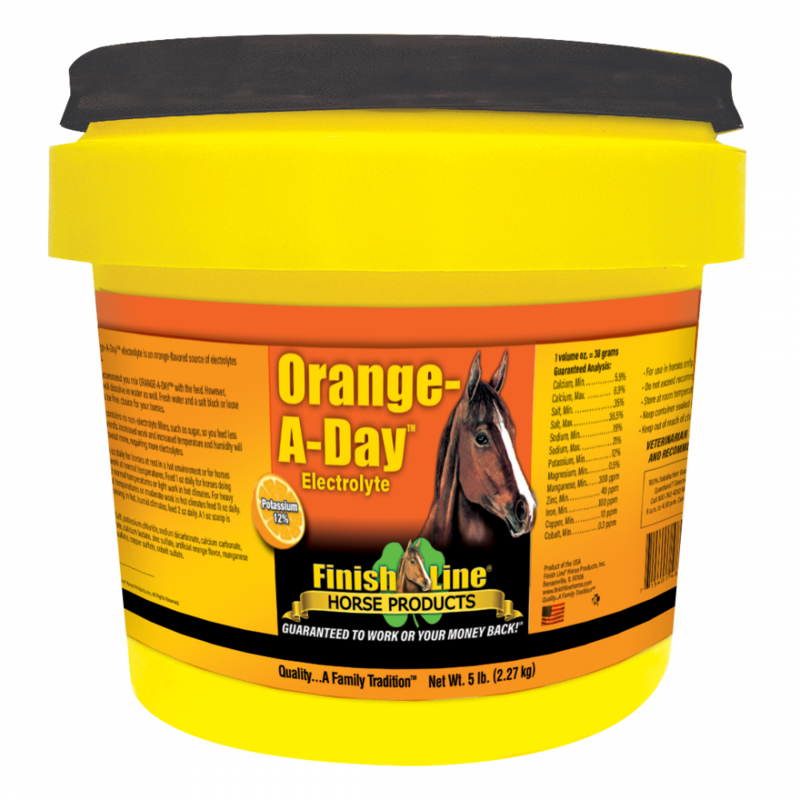 Orange-A-Day™ is a cost-effective product that contains no fillers, no sugars and no artificial colors! Guaranteed analysis data collected from manufacturer’s websites as of August 2013.